We are very happy to announce that the release of The Border Crossed Us (an anthology to end apartheid). This important collection of poetry and artwork on Immigration and Palestinian Justice is an incredibly powerful body of work that stands out as a strong example of the growing world-wide solidarity between all people for a better, more just planet. Thank you everyone for being a part of this. 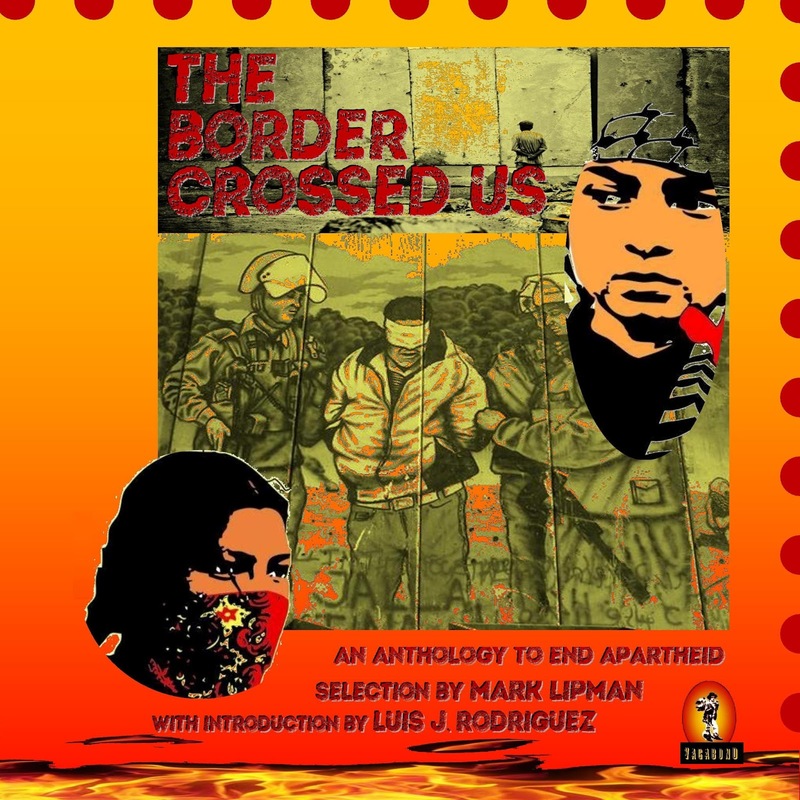 For a contribution of only $20, (please add $3 for shipping) you will receive a copy of The Border Crossed Us (an anthology to end apartheid) – a full color illustrated edition! Order multiple copies! Thank you for supporting your people’s press!